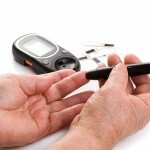 Home » Who should monitor their blood sugar levels? People with both Type 1 and Type 2 Diabetes, need to understand how Diabetes works and learn how to manage their blood glucose levels so these can remain at levels as close to normal as possible (70mg/dl to 110mg/dl). To achieve this, they need to pay close attention to their nutritional regime, medication, exercise, and should also check their glucose levels at certain times of the day, to be able to control and maintain these levels within the normal range. 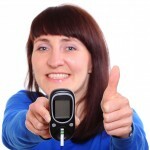 Therefore, all people with Diabetes (Type 1, Type 2, and Gestational) have to monitor their blood sugar levels regularly. Changes in medication or dosage. Symptoms of Hypoglycemia (low blood sugar). Symptoms of Hyperglycemia (high blood sugar). 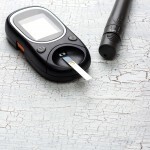 It allows you to know how your blood sugar level is as soon as you take the test. It helps prevent Diabetes emergencies: Hypoglycemia (low blood sugar) and Hyperglycemia (high blood sugar). It tells you when to look out for ketones and take any timely necessary measures to prevent Ketoacidosis. It’s essential to achieve good control of your Diabetes and prevent the onset and progression of any chronic complications. It allows you to know how your body reacts to certain variables (changes in medication, diet, exercise, disease, etc.) to make all the necessary adjustments to maintain your blood glucose levels as close to normal as possible (70-110mg/dl). It gives you more freedom when participating in any activity.